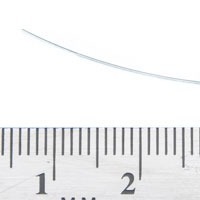 These research catheters are designed for use with mice and rats. 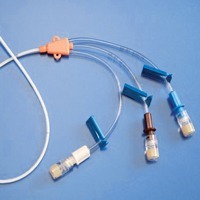 Catheters used for sampling or dosing can vary and depend on access or animal size. We carry catheters used for common applications. All catheters are ETO sterilized. Intrathecal research catheters are tiny tubes that are positioned in the intrathecal space that surrounds the spinal cord. They are used for delivering pain medication, which can be specifically targeted where it is needed. A vascular catheter, a venous catheter, is surgically implanted into an animal's vein, allowing the researcher repeated access to the same vein without having to puncture the animal again. A vascular catheter is also called a venous catheter. It is small plastic tubing that is surgically implanted into an animal's vein. This allows the researcher repeated access to the same vein without having to puncture the animal again. A vascular catheter may be used to draw blood or to inject medications intravenously (IV). A central vein catheter is usually inserted into the neck or upper chest. It is place in a large vein in the chest. The central vein catheter may be used to monitor the heart or deliver IV drugs or nourishment to the animal. NOTE: WPI surgical instruments are for laboratory research applications. They are not certified for use on humans.